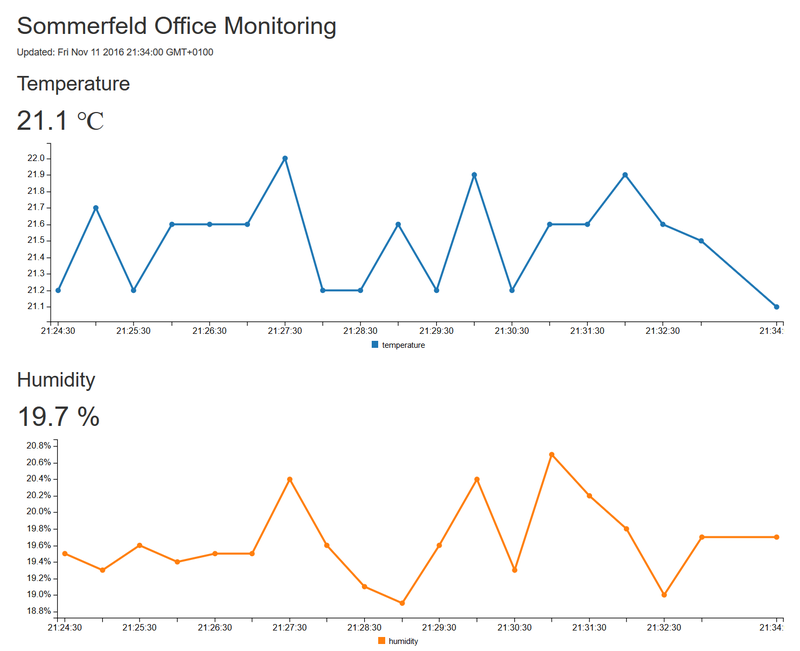 For the last piece of this project I pretty much followed the approach described in Visualizing IoT Data with Web App. Since I wanted to learn how to create and deploy Azure Web Apps, this was a good fit. The data going in to IoT Hub is passed on to Stream Analytics where I have a query that outputs data that I can read in my web app. This is the updated design sketch. The query I have in Stream Analytics is really simple, just passing on the values it receives to an Event Hub. I guess I can do more cool things here later, but for now it’s fine to just pass the data on so I can show it in near real time. I’m setting the TumblingWindow, the time interval for when Stream Analytics is outputting data, to match the interval that I’m sending data from my Raspberry Pi to IoT Hub. This is also very much a question of cost, the more data you push in and out of Azure, the more it will cost you. I might dig a bit further into the cost aspect in an upcoming post, but for now I conclude that this is sufficient for my hobby project. After all, the conditions hopefully won’t change terribly fast in my home office. 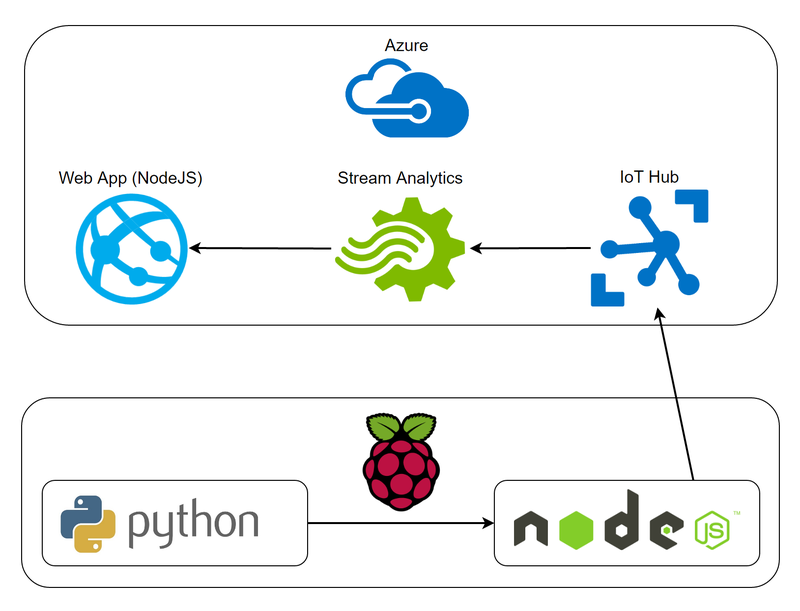 Now it’s time for some coding again and I’m doing this with NodeJS as in the guide Visualizing IoT Data with Web App. There is a template for NodeJS + Express to choose in the Azure portal. I first tried the command line route to provision the web site, but I found that the command created a bunch of stuff (like DefaultAppServicePlan) that I didn’t ask for. I felt I had more control creating this through the portal. Since I’m using Socket.io (see the code on GitHub, link below), I also need to enable Web sockets (which isn’t on by default). Since the app is reading the data from the event hub, I also need a connection string to it and store that somewhere. In Azure it’s only a matter of adding an app setting in the same settings page as above. For development I have a json file that contains the connection string. The code first looks for the app setting and secondly for the config file. Just make sure you exclude that config file when you commit the project to source control.